A: Bankruptcy is a legal procedure for dealing with the debt problems of individuals and businesses; specifically, a case filed under one of the chapters of title 11 of the United States Code (the Bankruptcy Code). Q: Who are debtors and creditors? A: A debtor is a person or company that owes money and has filed a petition for relief under the Bankruptcy Code. A creditor is one to whom the debtor owes money. Q: What is a secured creditors vs. an unsecured creditor? A: A “secured creditor” is one that has a lien on property, such as a home or car. A lien is an interest in property that a creditor can use to satisfy a debt. An “unsecured creditor” is a creditor who has no interest in any particular property of the debtor and is paid either voluntarily or must receive a judgment through the court in order to collect on a debt. Q: Who or what is a trustee? A: A trustee is a representative of a bankruptcy estate who exercises statutory powers, principally for the benefit of unsecured creditors, under the general supervision of the court and direct supervision of the Office of the United States Trustee. The trustee is an individual appointed in all Chapter 7, Chapter 13 and some Chapter 11 cases. The trustee’s responsibilities include reviewing the debtor’s petition and bringing actions against creditors or the debtor to recover property of the bankruptcy estate. In a Chapter 11 case, the Chapter 11 debtor acts as its own trustee, unless the Court finds cause to appoint an independent third party Trustee. Q: What are the differences between Chapter 7, Chapter 11 and Chapter 13 bankruptcy filings? A: In a Chapter 7 case, which is most commonly filed by individuals but is also used by businesses, the debtor seeks discharge of debts in exchange for exposing assets to collection, liquidation and distribution to creditors by a Chapter 7 trustee. Notably, no discharge order is entered in a corporate Chapter 7 bankruptcy proceeding. A Chapter 13 filing is one of the bankruptcy options available to an individual or a married couple with regular or fixed income seeking to reorganize debts and retain assets. It’s often called “individual reorganization.” Those filing for bankruptcy under Chapter 13 must pay debts over a specific time period via a Chapter 13 Plan. Trustees in Chapter 13 have similar duties to a Chapter 7 trustee and the additional responsibilities of overseeing the debtor's plan, receiving payments from debtors, and disbursing plan payments to creditors. Chapter 11 filings are usually used by larger businesses, but individuals may also utilize this reorganization strategy. A Chapter 11 debtor usually proposes a plan of reorganization to keep its business alive and pay creditors over time. Individuals can also seek relief under a Chapter 11 payment plan. A business can also file a liquidating Chapter 11 plan, wherein it maintains certain controls over the orderly liquidation of its business and assets, rather than facing liquidation by a Trustee in a Chapter 7 case. Q: What is the "Automatic Stay"
A: The Automatic Stay is a statutory injunction, arising under the Bankruptcy Code, that automatically stops lawsuits, foreclosure, garnishments and all collection activity against the debtor the moment a bankruptcy petition is filed. Q: I am being sued by several creditors. What happens to these lawsuits once I file a bankruptcy case? A: Upon the filing of a bankruptcy petition, an "automatic stay" goes into effect. Generally, the automatic stay of the Bankruptcy Code precludes pre-bankruptcy creditors from commencing or continuing any state court collection action or proceedings. However, these creditors may file claims against your bankruptcy estate, and may receive a distribution on their claims depending on the facts of your case. Q: Does a debtor have an absolute right to a discharge? A: No, creditors, the trustee or the United States Trustee can object to the debtor's discharge. Generally, objections to discharge are filed only if the debtor has committed a fraudulent act, or has failed to fulfill his obligations to provide the trustee with pertinent information. Q: Can I discharge all of my debts in a Chapter 7 bankruptcy? A: The short answer is: It depends. There are several exceptions listed in the Bankruptcy Code. These exceptions should be reviewed on a case-by- case basis with an experienced bankruptcy attorney. Q: Do I have to continue to pay my mortgage if I file a Chapter 7 bankruptcy? A: It depends on whether you desire to keep your home. A bankruptcy discharge will extinguish the debtor's legal obligation to make payments under the mortgage note. However, the mortgage lien survives the bankruptcy, which means that the mortgage company can foreclose on its collateral (the home) if payments are not made. Q: If I signed a personal guarantee for someone else's debt and that person receives a bankruptcy discharge, am I still liable for the debt? A: Yes. A discharge only eliminates the debtor's legal obligation to repay the debt. Any co-obligor, including someone who signed a personal guarantee, remains liable on the debt. Q: Are my student loans dischargeable in bankruptcy? A: Generally speaking, student loan obligations are not discharged by a bankruptcy filing unless the debtor demonstrates "undue hardship" to the court. This is a very tough standard, which a court considers in view of the specific circumstances of each case. Q: How far in advance of a bankruptcy filing should I stop using my credit cards? A: While it is generally acceptable for a debtor to charge necessities (e.g., food and gas) to a credit card in the months leading up to a bankruptcy filing, the charging of luxury items and/or the taking of cash advances within a short period of time prior to a bankruptcy filing can be suspect, and lead to an objection to the debtor's discharge by a creditor or the Trustee. Further, the obtaining of credit or a pattern of charging when one clearly does not have the ability to pay back the debt could be deemed fraudulent behavior, and can also lead to an objection to discharge. 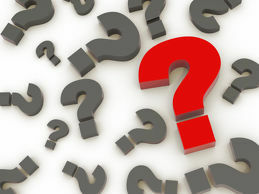 Q: Will I be able to obtain credit in the future if I file for bankruptcy protection? A: You can begin to rebuild credit after your discharge. One common way to do so is to obtain a secured credit card. This may be done by depositing funds with a bank, which will then issue you a credit card with a credit limit in the amount of your deposit. Your goal should then be to charge and pay for the purchases immediately to begin establishing a positive credit history. Whether or when the bank will increase the limit on the credit card above your initial deposit amount varies among banks. In addition, regular payments to secured creditors such as a mortgage company or an auto financing company will help to increase your credit score post-discharge. Q: Can I file for bankruptcy protection more than once? A: A debtor can only receive a Chapter 7 discharge every eight years. If you receive a discharge pursuant to Chapter 13 of the Bankruptcy Code (in which you are required to repay certain debts pursuant to a Court-approved payment plan), you must (with a few limited exceptions) wait six years prior to receiving a Chapter 7 discharge. Likewise, if you receive a Chapter 7 discharge, you must wait four years in order to receive a Chapter 13 discharge. As good faith is a basic requirement for a discharge under any chapter of the Bankruptcy Code, repeat filings are, generally speaking, scrutinized more closely by bankruptcy trustees and the court. Contact our bankruptcy attorneys for quality information and advice, and to help you decide which bankruptcy solution is right for you or your business.